Thank you for your support during this difficult time. Please enhance this tribute to Josephine by adding your memories and photos. 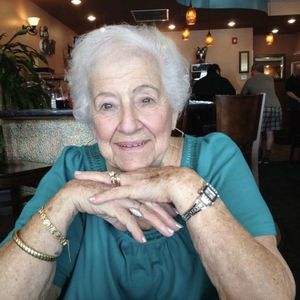 Josephine E."Josie" (Antonucci) Amicone of Melrose passed away peacefully on April 4th 2019 surrounded by her Loved ones. She was the wife of the late Joseph A Amicone to who she was married to for 60 years. In her younger days she was the cake decorator for the first national supermarket and then at the Wyoming bakery in Melrose where she shared many fun years with her sister Clemmie and brother in-law Al and nephew Robert Reich. Josie had many friends, she loved playing cards with her card friends and she never passed up a game. She enjoyed spending time with her sisters and cousins and her friends and being a loving mother to her Children and grandchildren. She was very Blessed to have so many friends and family and she Loved them all. She was the loving mother of Joseph M Amicone and his wife Mary Ellen of Magnolia, Cheryl Amicone-Hannon and her husband Ed of Canterbury N.H. her nephew Robert Reich , who was like a son to her and his wife Laura. Cherished Grandmother to Robert S Auen and his wife Ashley of N.H. Christopher m Auen of California, Alissa L Amicone of Ma. Pia J Amicone of Ma. Nikolas A Amicone of Ma and Alexandre M Amicone of Ma. Great grandmother to Wyatt Auen and Leonardo Amicone who became the light of her life. She also leaves behind her sister Jenny Anzuoni, Rita Karelas and Donna Antonucci and many nieces and nephews and great friends. Visiting Hours will be held at the Gately Funeral Home, 79 W. Foster St., Melrose, on Mon., April 8th, from 9-11 AM followed by an 11 AM Funeral Service at the funeral home. Interment in Wyoming Cemetery, Melrose. Relatives & friends are respectfully invited to attend. My deepest condolences. Josi was a wonderful person and a real Lady. We'll miss playing cards with her and the pots will never be the same, she loved to raise even when she knew she was beat. You lived a wonderful life my friend and we'll speak of you often. Sleep peacefully. Always a smile, a laugh, or a big hug. Warmth and humor, no better combination! Prayers. Condolences on the loss of your beautiful mother. We are so proud to have known Josie. 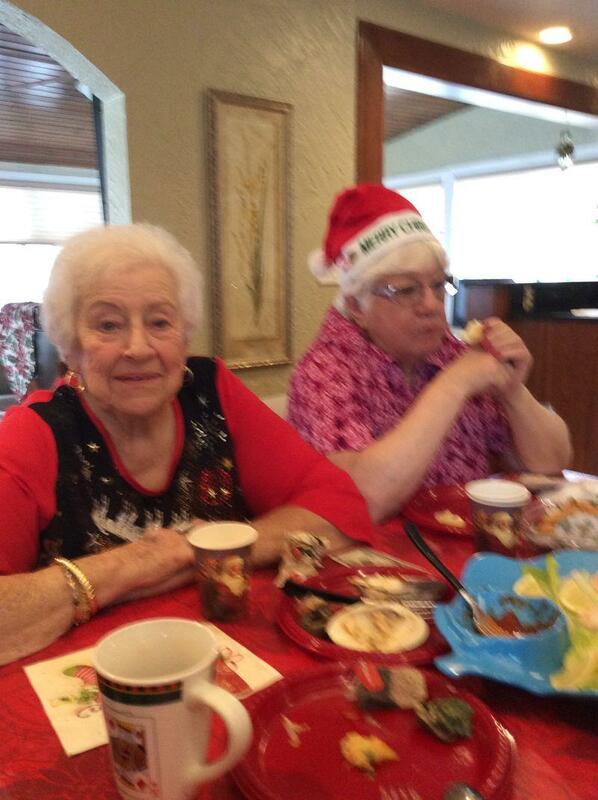 We spent time with her at Bay Colony and we always had breakfast together when we were there. She played many card games with my Dad. She was a beautiful, funny, loyal, loving friend. She will be missed dearly. We wish you peace and much sympathy. Gisella and Isabella-Marie Selden. All my love to Joey and Cheryl. Auntie, like all the sisters, was like another mom to all her nieces and nephews! There are so many happy memories I will have to remember her by (on Frances Street, in Wareham, at my mom's house and at the lake house in NH! She was fun, upbeat and always the life of the party. She will be greatly missed and always loved. Josie I will always remember all the fun we had. My mom loved you very much. Playing cards with you when my son was 10 months old, hiding under the kitchen table pulling down your knee-highs, we just laughed and shuffled, God forbid we stopped playing. You were at all my families events and my wedding. I am so happy we spoke just months ago. I know your son and daughter will have the pleasure of all the memories you helped create I will always have a special place in my heart for you. To The Amicone Family: : Here's hoping you're able to find comfort in happy memories. Life Stories provides friends and families a forum to post their favorite stories and memories of Josephine E. "Josie" (Antonucci) Amicone ensuring the precious experiences are never forgotten. Share joyful times, post a photo that captures the moments you cherish, and allow others to reply, relive and remember.